The two men met for the 49th annual Security Consultative Meeting in the shadow of North Korea’s continuing nuclear program and following launches of its intercontinental ballistic missiles. 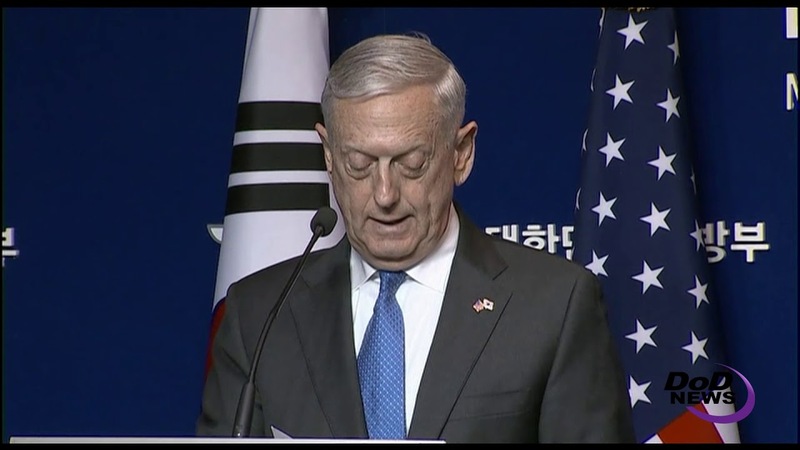 “In light of [North Korean dictator Kim Jong Un’s] expanded outlaw activities that all the world experienced and observed over the past year or two, I cannot imagine a condition under which the United States would accept North Korea as a nuclear power,” Mattis said. The secretary said the threat from North Korea, also known as the Democratic People's Republic of Korea, has grown more serious since his trip to the country earlier this year. “President [Donald J.] Trump has made clear that America’s commitments to defending our allies and to upholding our extended deterrence guarantee is ‘ironclad,’” the secretary said. “Diplomacy remains our preferred course of action, but as I have repeatedly emphasized, our diplomats are most effective when backed by credible military force in this sort of situation,” Mattis said. 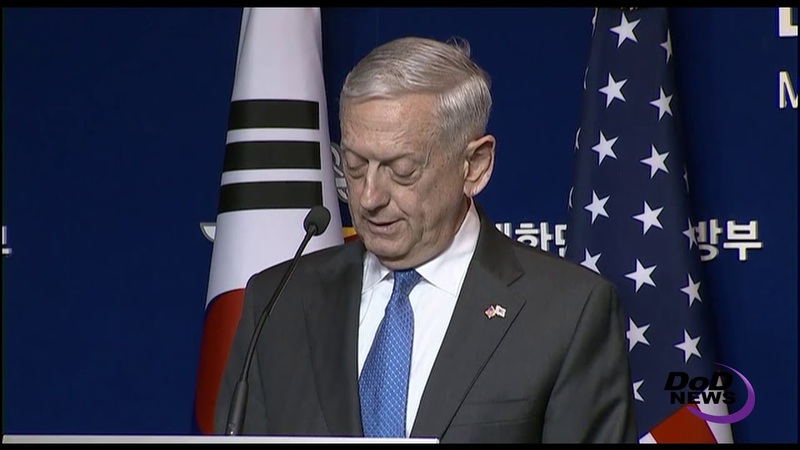 North Korea’s actions compelled the alliance to beef up its defenses by emplacing the Terminal High Altitude Area Defense missile system in South Korea, the secretary said. “Millions of ROK citizens and our forces are now better protected by this wholly defensive system,” he said.